Smoothies are not only a great way to start the day but also make a healthy snack. They are a quick mean to add some fruits, vegetables and fibre to your diet. My kids love getting involved and sometimes come out with crazy combinations. Smoothies are also ideal to use produce that are past their best or out of season frozen fruits. For example, berries, bananas, apples, cherries, grapes, pineapple, kiwi, mango, peaches all freeze well. Instead of throwing away tired fruits, just wash them well, remove the damaged or blemished part(s), and store them in portion bags in the freezer. Smoothies are so quick and easy to make, there are no real reasons why you should buy expensive branded ones in the shops. You only need a blender, some liquid, your favourite fruits and vegetables plus optional add-ons. Yet it can be frustrating when you see a recipe you like but are missing some of the ingredients. By following the simple guidelines below, you can enjoy your own delicious blends. Two rules I try to keep in mind are colour and thickness. Try to mix similar colours, especially if you are using produce of strong tones such as beetroot or spinach. A brown and khaki smoothie is not so appetising! Also make sure you add enough liquid so you can actually drink your smoothie rather than having to spoon it out of the glass! A good general rule of thumb is to use 1/4 portion of liquid for each portion of solid. I like to add my ingredients one at a time in small quantities, tasting my smoothie as I go and adding more ingredients as needed. The guidelines below should produce enough for 2 people. Milk, non-dairy milk, water or juice all make a great base for smoothies. I tend to prefer almond milk, coconut milk, oat milk or hemp milk. Start with around 500ml in your blender – you can add more later if it is too thick. Banana (fresh or frozen) is a popular base for smoothie. chia seeds, shelled hemp, flax seeds, protein powder, almond butter, peanut butter, seaweed, oat, silken tofu, spirulina, 1 raw egg, yoghurt, cacao nibs, pumpkin seeds, etc..
vanilla, ginger, cinnamon, nutmeg, raw cacao, mint, basil, allspice, cardamom, lime juice, lemon juice, turmeric, bee pollen etc.. Adding coconut oil (start with 1 Tbsp), nut butter, plain yoghurt, Greek yoghurt, chia seeds, avocado or silken tofu will make your smoothie extra creamy. Try it first, your smoothie might not need any added sweetness. Ice cubes add a nice chill to smoothies. Frozen fruits generally substitute for it. So it is entirely up to you if you prefer to add a few ice cubes or not. This is so true! that when your experimenting on something especially fruits and vegetable smoothies and blending your creativity will just come out! Thank you for this article I helps a lot on how to properly do a delicious and appetizing smoothies. I will surely follow all the tips in here. 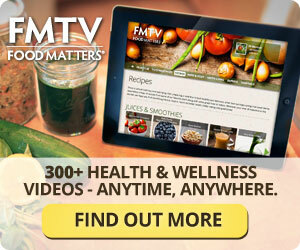 And I also would like to recommend this site which may also help you in making your delicious and healthy smoothies.